Present state: Demolished. 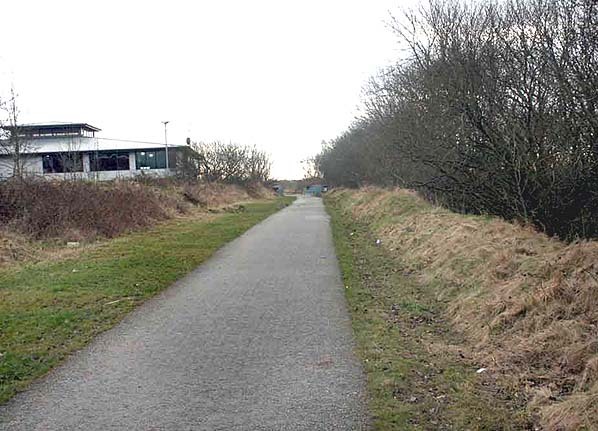 The abandoned entrance road to the goods yard can still be identified. Manchester and Sheffield at Fairfield. The reason for the line was to give the MLSR access to Manchester Central Station from the east. The line opened in two stages the first section opening from Chorlton to Fallowfield in September 1891. Hyde Road station was located on an embankment on the north side of Hyde Road. It had substantial brick built buildings on both sides of the line which connected down to street level. The stations northbound platforms overhanging the embankment was largely constructed out of wood. There was a large goods yard on the east side of the station comprising four sidings and a 5 ton crane but no goods shed. One of the siding was curved away from the main line, finishing at right angles to it and parallel with Hyde Road. A signalbox in the middle of the northbound platform controlled access to the goods yard with another box between the two diverging tracks a Hyde Junction, 500 yards north of the station. This was later closed with a new box controlling both the junction and the goods yard being built on the west side of the line close to the station. Alexandra Park they were able to provide a more direct and quicker service into central Manchester which further depleted passenger numbers on the loop line. A steady stream of express services passed through the station. a few of them stopping at Fallowfield which was the most important station on the line. At one stage, the GCR provided two bay platforms at Hyde Road so that it could act as a terminus for some Belle Vue excursion trains. They are shown on the 1905 Ordnance Survey map and were still in use in 1914 but these excursions stopped at an early date and the platforms were taken out of use. In 1923 the line became part of the LNER. By the 1930's the LNER had reduced the local stopping service that served Hyde Road to seven trains in each direction on a weekday with no services at all on Sundays. The line itself continued to be very busy with express services which included the Liverpool Central to Harwich Parkston Quay Boat Train. Hyde Road Station and the Fallowfield Loop Line became part of the nationalised British Railways network in 1948. Reddish, were a new Motive Power Depot was opened, was electrified. During the 1950's and 1960's some trains changed from steam traction to electric traction and vice versa at Hyde Road. 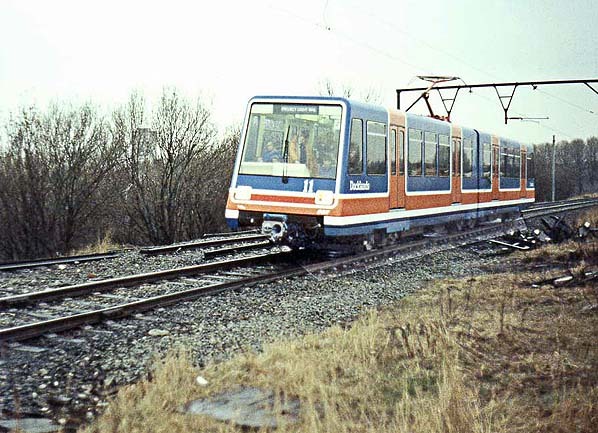 Electric traction on its way to and from the Reddish Depot passed through the station until the early 1980's. local merchants; the long curving siding this was used for coal wagons. 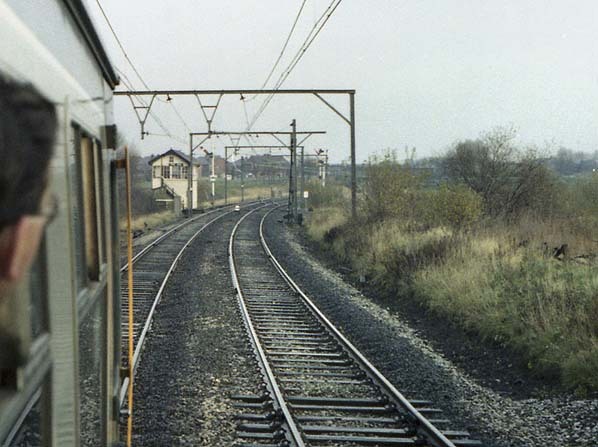 Regular passenger express services continued to use the line through Hyde Road until the closure of Manchester Central in1969. By this date there was just one DMU a day from Liverpool to Guide Bridge and back. After that date it was only goods services passed through. 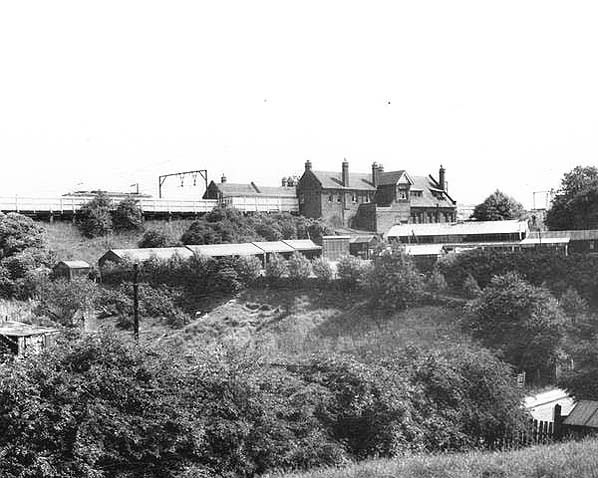 The station buildings at Hyde Road were demolished in the late 1960's. Reddish Depot closed in 1983 and the last goods services used the line in October 1988.
bus service from Manchester Piccadilly for anyone who wanted to ride on the trams. The station was adjacent to Hyde Road signalbox at the north end of the former Hyde Road station site. 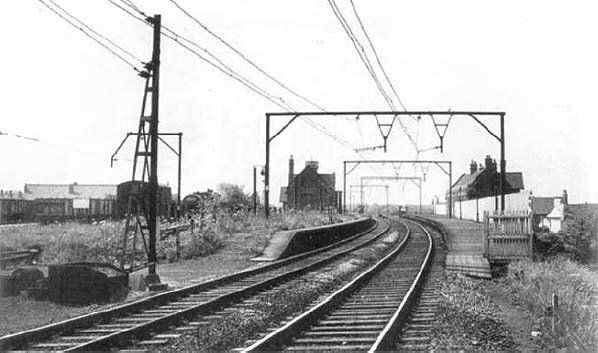 Power was supplied from the overhead wiring on the electrified section of line between Fairfield and Reddish Motive Power Depot, but with the voltage reduced from 1500 to 750 Volts DC. Hyde Road Station looking south in c. early 1960's. Note the goods yard to the left which remained open until 27th February 1965. The site of Hyde Road Station looking south in February 2009. The building on the left is on the site of the goods yard.